The holidays are just around the corner and families are gathering for Christmas, Hanukah, and Kwanza, sharing laughter and happy memories. For families coping with Alzheimer?? ?s, the holidays can be bittersweet, and at times filled with stress and frustration. Festivities can agitate, confuse, and over stimulate persons with Alzheimer?? ?s disease and other dementias. At the same time, caregivers can feel anxious, frustrated, and lonely ??? leading to stress and depression. 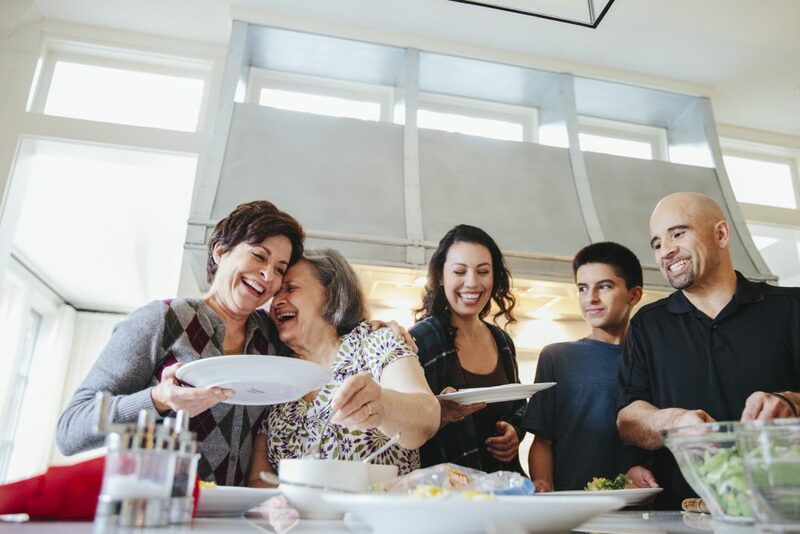 When balancing the holidays and Alzheimer’s disease, with some advance planning and dialog within the family, holidays can be focused on connection, fun and love. Here at the Alzheimer’s Association we want you to know that when Alzheimer’s touches your life we are here for you any time, day or night, call 800.272.3900 for reliable information and support. Families and individuals with Alzheimer’s who experience the most difficulty with the holiday season are those who have given little thought to the challenges they will encounter. Consider ahead of time what may be expected of you, both socially and emotionally. Discuss holidays and Alzheimer’s with relatives and close friends in advance. Plan to maintain a regular routine for the person with Alzheimer’s while trying to provide a pleasant, meaningful and calm holiday event. 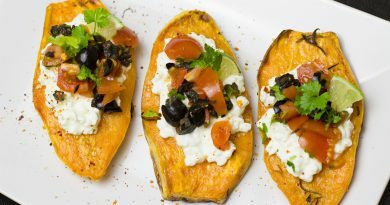 Celebrate early in the day or have a noon meal rather than a late dinner. Remember, the holidays are opportunities to share time with people you love. Try to make these celebrations easy on yourself and the person with Alzheimer?? ?s disease so that you may concentrate on enjoying your time together. 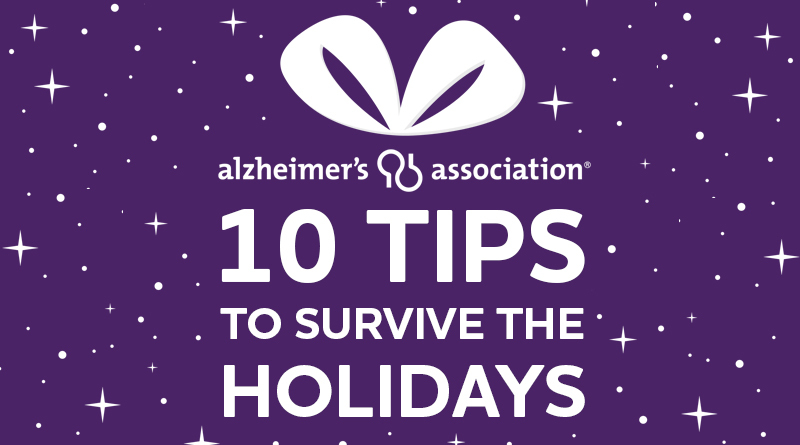 Set limits by telling family and friends that you intend to control the stress of the holidays and Alzheimer’s. Maintain a positive mental attitude. Ask for assistance for you and your loved one. Attend an Alzheimer?? ?s Association support group that will allow you discuss ways to overcome holiday stress. Prepare to deal with post-holiday letdown. Arrange for in-home care (respite care) so you can enjoy a movie or lunch with a friend and reduce post-holiday stress. Preparing your loved one for the upcoming holiday events can allow both of you to enjoy the warmth of the season. Talk about and show photos of family members and friends who will be visiting. Have a ???quiet??? room in case things get too hectic. Play familiar music and serve favorite traditional holiday foods. Schedule naps, especially if the person usually takes naps. Preparing families and friends with an honest appraisal of the person?? ?s condition can help avoid uncomfortable or harmful situations. Familiarize family members and friends with behaviors and condition changes. 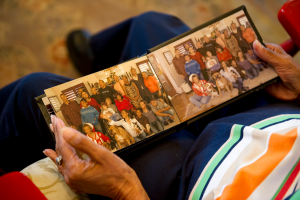 During the Holidays, involve persons with Alzheimer’s with pictures of family. Involve everyone in holiday activities including the person with dementia. Consider taking walks, icing cookies, telling stories, doing chores, making a memory book or family tree, or keeping a journal. A person with Alzheimer’s or other dementia doesn’t have to give up the activities that he or she loves. Many activities can be modified to the person’s ability. In addition to enhancing quality of life, activities can reduce behaviors like wandering or agitation. To encourage conversation, place magazines, scrapbooks, or photo albums in reach; play music to prompt dancing or other kinds of exercise. Encourage young family members to participate in simple and familiar activities with the person. Alzheimer?? ?s can diminish a person?? ?s ability to communicate. These tips may help you understand each other. Be calm and supportive if the person has trouble communicating. Speak slowly with a relaxed tone. Avoid criticism. For example, when someone forgets a recent conversation, avoid saying, ???Don?? ?t you remember???? Address the person by name. Encourage family and friends to give useful, practical gifts for the person such as identification bracelet (available through Medic Alert?? + Alzheimer?? ?s Association Safe Return??). Other gifts may include comfortable easy-to-remove clothing, audiotapes of favorite music, videos, and photo albums. Advise others not to give gifts such as dangerous tools or instruments, utensils, challenging board games, complicated electronic equipment, or pets. If possible, involve the person in giving gifts. For example, someone who once enjoyed cooking may enjoy baking cookies, or buy the gift and allow the person to wrap it. 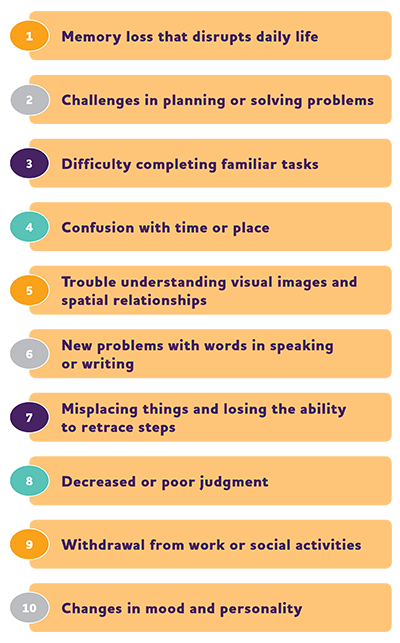 Persons with dementia may experience changes in judgment. This behavior may lead to confusion, frustration, or wandering. Consider these tips to reduce the risk of injury and situations that could be confusing to someone with dementia. Assign a ???buddy??? to watch out for the person to ensure their comfort. Arrange ample space for walking side-by-side, for wheelchairs, and walkers. Keep walking areas clear. Consider seating options so the person with Alzheimer?? ?s can best focus on conversation and be least distracted. Don?? ?t serve alcohol, which may lead to inappropriate behavior or interactions with medications. Accommodate changes in vision. Place contrasting-color rugs in front of doors or steps.?? Avoid dark-colored rugs that may appear to be ???holes.??? Limit access to places where injuries occur, such as a kitchen or stairwell. Check temperature of water and food. Create even level of lighting; avoid blinking lights. Keep decorations simple; avoid using candies, artificial fruits/vegetables, or other edibles as decorations. Keep emergency phone numbers and a list of medications handy. Never leave the person alone. Use familiar modes of transportation and avoid peak travel times. Keep plans simple and maintain daily routines as much as possible. Allow extra time to avoid the stress of rushing. Advise service and hospitality staff that you are traveling with someone with dementia and about the person?? ?s behaviors and special needs.  Arrange for services, such as wheelchairs, ahead of time. Provide identification items such as a Medic Alert?? + Alzheimer?? ?s Association Safe Return??) 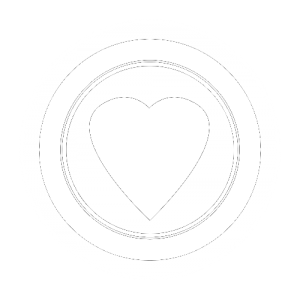 bracelet and clothing labels. 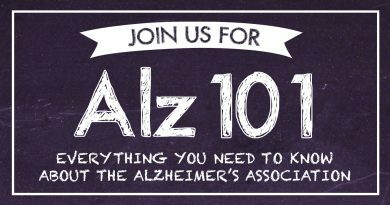 The Alzheimer’s Association Helpline operates 24 hours a day, seven days a week, in over 200 languages. Our staff is highly trained and knowledgeable about all aspects of Alzheimer?? ?s disease. Call us if you have questions about Alzheimer’s disease, Dementia, Caregiving, or for emotional support. 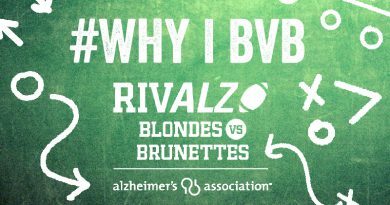 We know that living with Alzheimer?? ?s can be overwhelming. Remember, we are here for you ?????? all day, every day. You are not alone. Whether you need information about early-stage caregiving, middle-stage caregiving, or late-stage caregiving, the Alzheimer’s Association is here to help. Families can call the Alzheimer?? ?s Association?? ?s 24-hour Helpline at?? 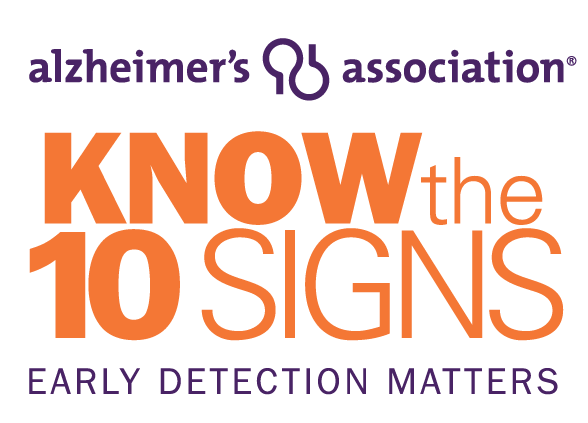 1-800-272-3900 to answer questions about warning signs and to assist persons with dementia? ?and caregivers. The Helpline will be open all Christmas day and News Year day, as well as year round. ← Join Penny and Become an Alzheimer’s Association ALZ Star! The Alzheimer's Association Houston & Southeast Texas Chapter (www.alz.org/texas) consists of families, caregivers, scientists, health professionals, and concerned citizens who are committed to finding a cure for Alzheimer's Disease and to easing the burden of Alzheimer's Disease and related disorders on patients and their families and loved ones. 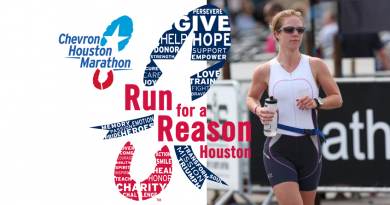 Run for a Reason: Become an Alzheimer’s Association ALZ Star! May 10, 2018 AlzTex Admin Comments Off on Run for a Reason: Become an Alzheimer’s Association ALZ Star! The Alzheimer’s Association Houston & Southeast Texas Chapter consists of families, caregivers, scientists, health professionals, and concerned citizens who are committed to finding a cure for Alzheimer’s Disease and to easing the burden of Alzheimer’s Disease and related disorders on patients and their families and loved ones. Held annually in more than 600 communities nationwide, the Alzheimer’s Association Walk to End Alzheimer’s is the world’s largest event to raise awareness and funds for Alzheimer’s care, support and research. This inspiring event calls on participants of all ages and abilities to join the fight against the disease! When you participate in Walk, your fundraising dollars fuel our mission, and your participation in the event helps to change the level of Alzheimer’s awareness in your community. The Alzheimer’s Association provides free, easy-to-use tools and staff support to help participants reach their fundraising goal. While there is no fee to register, we encourage participants to fundraise in order to contribute to the cause and raise awareness. Take the first step by finding a Walk near you. Once you register, you will have access to a wide range of tools and support through your customized Participant Center. 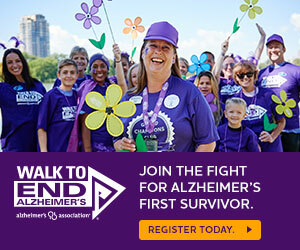 Join us and lead the way to Alzheimer’s first survivor. Together, we can end Alzheimer’s disease! Find a Walk in your community. Register as a team captain, team member or individual. Start fundraising and raising awareness. You Can Help! Volunteer Today.  Copyright © 2019 blog.alztex.org. All rights reserved.